Well, as we hurtle towards the end of the year, it's getting to that time where all sorts of 'best of' lists start coming out. I may even be involved in a few myself - here and elsewhere - when it comes to what has been especially criminal and thrilling in the fictional world this year. To kick things off, I thought I'd share the top 10 list from Amazon. What, you cry? What the hell is Craig doing sharing a list from a company focused on selling books?? We want to hear about quality, not commercial sales!! I agree completely. Although some lists at this time of year will look more at popularity than quality (of course the two are not mutually exclusive), I'm much more interested in the latter. But here's the thing - looking at the list created by the Amazon editors (who had meetings and discussions about what were the 'best' books in various categories in their eyes), it's pretty clear they have felt the same. Whether you agree with their choices or not - and let's be honest, that's half the fun with these things, having the debate and chatting about other great books too - I think it's pretty clear they've thought about this with little regard to sales figures. There's not a Lee Child or James Patterson book to be seen, amongst many other big-sellers. At first glance, it seems a pretty good list. I'm sure there are lots of other books many of you think you should be on it instead of some above, but I can't see any completely obvious 'what the heck?' clangers or things that make me think the editors have focussed on sales or anything. The two books on the list that I've personally read this year, PHANTOM and CREOLE BELLE, were amongst the very best books I've read all year, and I would have them somewhere on any 'best of' list I was doing. 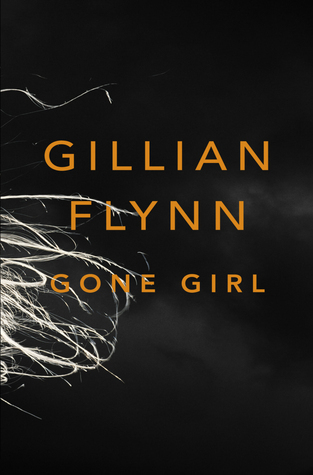 I've heard absolutely terrific things about GONE GIRL and BROKEN HARBOUR too (both are staring at me from my TBR pile), and I've read and really enjoyed Flynn's earlier books, which I thought were terrific (and I've heard that GONE GIRL is even a step up from them). Incidentally, GONE GIRL placed at #3 on the Amazon Editors' overall Top 10 books of any kind list. So all in all, not a bad list to kickstart things. It will be interesting to see what books feature consistently in various lists from various critics and publications etc over the next few weeks - and which 'hidden gems' others have overlooked sneak through now and then too. What are some of your favourite books of 2012? Have you read any of the above? What are your thoughts? How do you have a top ten in early November? It is crazy to me how lists are compiled earlier and earlier. 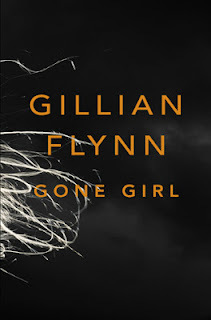 I have heard a lot of great things about "Gone Girl Gone." I plan to add it to my Christmas wish list. In the meantime I am reading a great historical thriller that you may be interested in checking out as well, "Quest for the Lost Name" by George Makris. I love December for favourite lists, can't believe they have started. I am in the minority, I liked Gone Girl and gave it a 3 but wasn't excited like most. Afterwards and Defending Jacob are on my Wishlist. My favourite this year is a classic, Rebecca, my first time reading it. A new debut, Primal by DA Serra is my favourite Crime thriller for this year. I have read 5 of those books, Gone Girl and Live by Night perhaps the best of that lot. For me the absolute best book I have read this year is Standing in Another Mans Grave by Ian Rankin. I've read Phantom and agree that it was very good, and I have to get to Broken Harbour asap,it does look very interesting. I really want to read Ian Rankin's new one also. Don't you think they should wait til closer to Christmas, so if his is as good as it could be, it can be on the list too?